Nothing beats a splash of neon when you want to add a zing to your knitting projects! 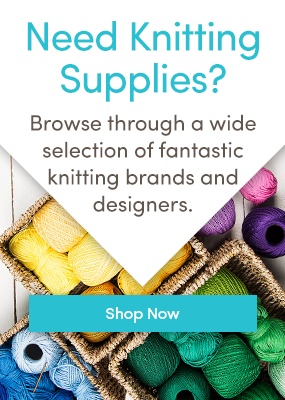 Neon is due to trend this spring and summer, so to inspire your next knitting project LoveKnitting has teamed up with a host of independent designers to bring you a zesty collection of knitting patterns featuring the bright neon yarns from Paintbox! Beautiful patterns with an electric shock of color – we can’t wait for you to try out these marvelous designs in this unique collaboration exclusively available at LoveKnitting! Whether you’re looking for a zap of color in your winter woolly hat or a blast of sunshine for an instant wardrobe update, explore this vibrant neon collection in the juiciest Paintbox shades! Inspired by San Francisco’s nightlife, the Splash of Neon Hat is a simple, yet eye-catching beanie for all ages and genders. The zig-zag neon motif helps you stay visible on evening runs or adds some cuteness to the little one’s wardrobes. This lovely cushion color features some wonderfully bright neon pom poms on each corner for a touch of excitement. Make sure you click through to the pattern to see the adorable heart buttons on the other side! The Neon Fade Snood is a quick to make project that uses color changes in multiple strands of yarn to create this awesome color-changing effect. Why not explore all the designs in the Splash of Neon collection? And don’t forget to share your favorite with us in the comments below! Yazmin is writer, filmmaker and coffee addict who loves anything crafty and creative! Her writing has featured on numerous publications including Elite Daily, Amor Magazine and Huffington Post. She also founded the award nominated collective blog aliljoy.com. Last updated: February 26th, 2018. Looks so beautiful… amazing collection..! !